With spring getting into the swing of things (and swimsuit season right around the corner), I’ve stepped up my workout game up a notch. While giving my diet a complete makeover has made a huge difference (I’m serious – if you’re struggling like I was, just ditch the carbs), getting serious with my exercise has been just as crucial. Ya, I was going to PureBarre 3-4x a week, and yeah I was eating healthy, but I also really needed to throw more cardio back into the mix. On the days I’m not at PureBarre, you can usually find me at Equinox hitting the treadmill or elliptical for 45 minutes+, followed by some of the exercises I’ve learned at PureBarre, via my old trainer, or other various classes I’ve taken over the years. With all of this exercising, I seem to be running out of workout clothes to wear! I feel like I do two loads of laundry every week JUST for my workout clothes so I have something to wear the next day. I have about 4 good pairs of plain black capris, three basic tops, and two even simpler jackets. How boring, right? Well, not anymore folks! A couple weeks back I was wandering around the Dallas Galleria after popping into Zara and came upon SIX:02. Have y’all ever heard of it? 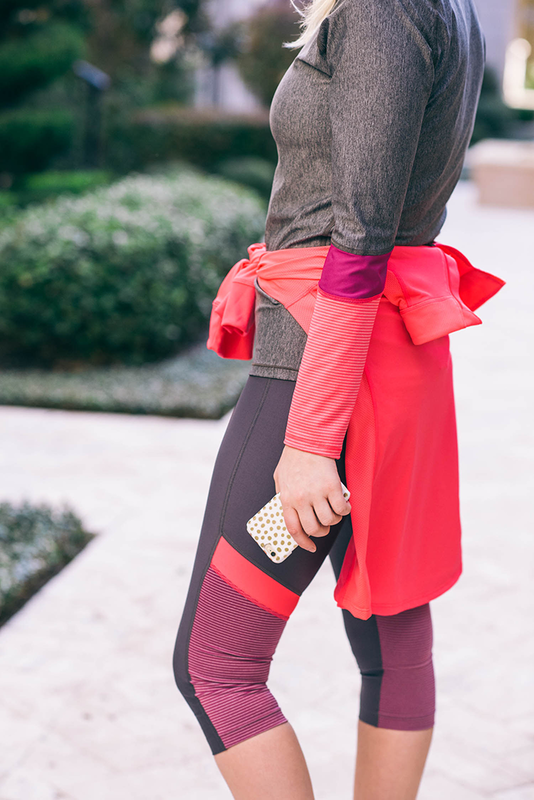 Consider it your new destination for colorful and happy workout wear. I bought every. single. item. I tried on. This included vivid orange and hot pink sports bras, my favorite running shorts (and a matching jacket!) for summer in the most gorgeous turquoise hue (blue lagoon), and the outfit you see above. They also have the most amazing selection of stylish sneakers! My trip to SIX:02 totally got me more pumped to sweat it out – don’t you just love when clothes (even of the exercise variety) make you feel good like that? The best part about all of this? I’m hosting an awesome event at SIX:02 with Refinery29 one week from today! 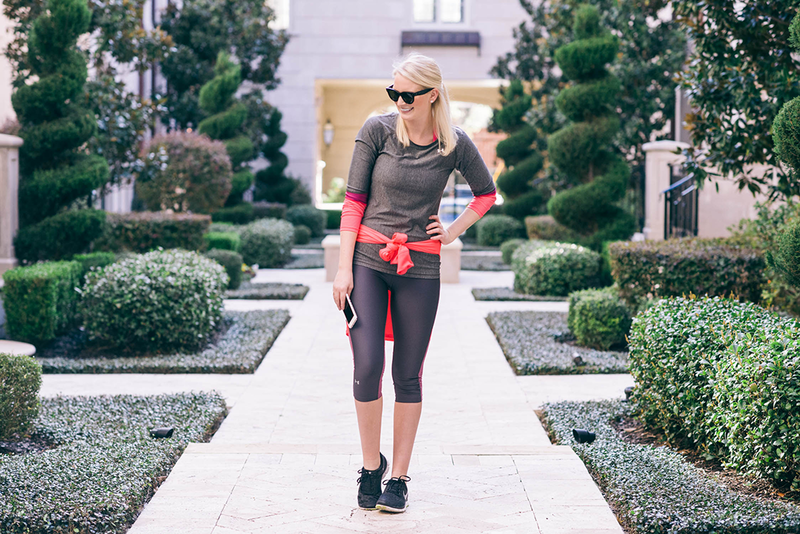 Stop by the Galleria Dallas location next Saturday, March 28th, between 12pm-4pm, to shop the cutest activewear you’ve ever seen and hang out with yours truly. I’ll be there showing off my favorite items and shopping all afternoon! I hope to see you all there, so be sure to mark your calendars!! Never heard of it but checking it out! I have almost identical pants to yours! Sounds like such a fun event, enjoy! You look so cute, Merrit. Loving those bright colors. there’s something about bright colors/ cute gym clothes that makes me and most people I’m sure want to work out. Super cute, Merritt! I will have to check it out.